Andy Jackson’s collection, Among the regulars (papertiger media 2010) was shortlisted for the Kenneth Slessor Prize and highly commended in the Anne Elder Award. He won the 2013 Whitmore Press Manuscript Prize with the thin bridge (Whitmore Press 2014). His poems have appeared in Best Australian Poems 2012 and 2013, Medical Journal of Australia, Meanjin, Southerly, Unusual Work, Australian Love Poems, Wordgatheringand Mascara Literary Review, and have been featured on Radio Australia, 3CR, 3RRR-FM, Radio National’s Poetica, and at the Melbourne Immigration Museum. In 2010, he was an Asialink Resident at the University of Madras, Chennai, India, where he wrote the poems exploring medical tourism. 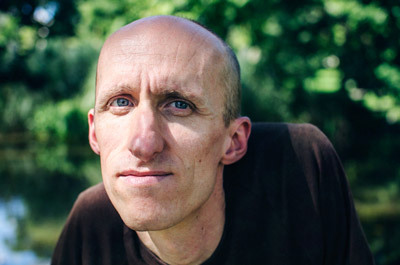 Andy has performed at literary events and arts festivals in Australia, India, USA and Ireland, and has run a creative writing workshop at Brunswick Neighbourhood House in Melbourne since 2011. He writes about identity, embodiment and poetry at amongtheregulars.wordpress.com. This project has been assisted by the Australian government through the Australia Council for the Arts, its arts funding and advisory body.